What does the government of John Major (1990-97) and that of Theresa May (since mid-2016) have in common? With the benefit of hindsight and the observation of contemporary events, we can make specific comparisons between them. A fundamental weakness faced by both administrations is that neither enjoyed a significant parliamentary majority while being in office. Major’s narrow majority of 21, a personal mandate achieved against the odds in the 1992 general election, was gradually eroded by defections and by-election losses in subsequent years. The ultimate consequence of this was that by late 1996 Major led a minority government that struggled to practically function in terms of getting any of its legislation through Parliament. In also seeking a personal mandate, Theresa May called the 2017 general election and gambled the small majority she’d inherited from David Cameron. 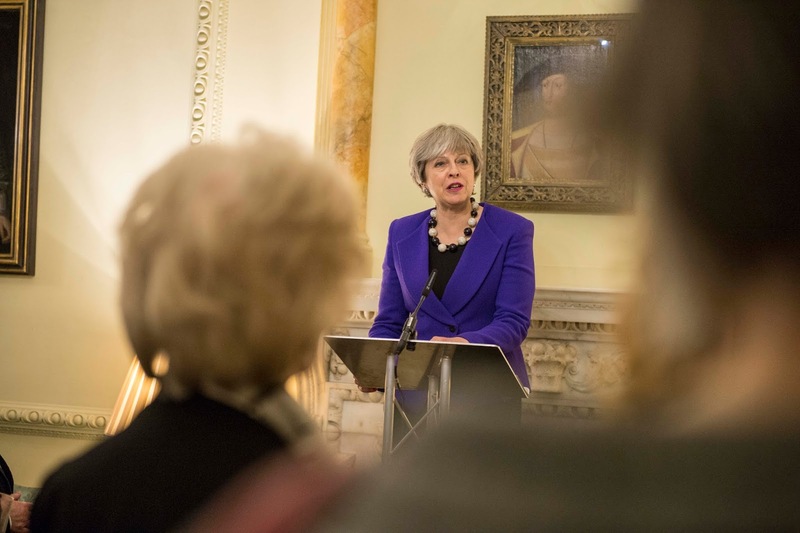 She acted in the confident expectation that she would gain a strengthened hand for impending Brexit negotiations, yet the volatile and unexpected result saw her heading a minority government, within a much quicker timescale than Major did. The fact that both the Major and May Conservative administrations have experienced such small to non-existent parliamentary majorities for the bulk of their premierships has adversely impacted both their capacity to pass legislation and also pursue their broader chosen political narrative. Consequently, it has eventually led to a destabilising political situation whereby both leaders became reliant on minority parties within the Commons, (specifically those from Northern Ireland) in order to coherently govern, which also impacted negatively on that often troubled province’s own political stability and the UK’s wider constitutional settlement. As a further side-effect of such a compromised political status, both leaders embraced a more consensual and less ‘presidential’ style of government compared with other premiers such as Margaret Thatcher and Tony Blair, and this has further contributed to a shared image of inherent weakness and an inability to deliver what both their party and the wider electorate have required. A sense of ongoing crisis linked to European policy-making has created particularly visible parliamentary difficulties as well as Cabinet disunity for both Prime Ministers. For Major, such executive-level division had lingered since he succeeded Thatcher in 1990, with some Thatcherite loyalists remaining within his Cabinet for most of his rule. This indicated a degree of pragmatic executive-level management on his part, yet simmering tensions spilled explicitly into the public domain in mid-1993, when at the height of attempts to ratify the Maastricht Treaty, Major alluded to the media of several so-called Cabinet ‘bastards’, whose apparent disloyalty stemmed from their rigid Euroscepticism and ongoing associations with Thatcher. The full extent of such intractable Cabinet divisions came to a dramatic crescendo in the summer of 1995, when Major challenged internal party critics to “put up or shut up”. In an unorthodox and risky move he promptly resigned as party leader, but remained as prime minister and successfully stood for re-election against the challenge of John Redwood. However, while Major ultimately remained as prime minister until 1997, he was undoubtedly politically damaged by this bruising process. Theresa May has often experienced situations whereby similar acts of ‘brinkmanship’ have been a common occurrence between her and elements of her party. Her unexpected electoral setback of 2017 was partly influenced by both internal Conservative differences and wider public divisions relating to Brexit strategy and the nature of Britain’s appropriate departure from the EU. However, the fundamental consequence was that it destroyed her previously high degree of authority over both her parliamentary party and also her Cabinet. By mid-2018, and in a similarly divisive situation that faced Major’s administration, her painstaking efforts to hold her finely balanced Cabinet of ‘Brexiteers’ and ‘Remainers’ together threatened to disintegrate at the height of prolonged Brexit diplomacy, and specifically relating to the Chequers Agreement. The high-profile sequential resignations of senior Cabinet Ministers David Davis and Boris Johnson in July 2018 publicly exposed Cabinet unrest on the issue, with both making damaging comments about her approach to this pivotal policy issue. As with the Major era, this episode ultimately illustrated May’s declining degree of Cabinet control over such so-called ‘big beasts’, and in turn sowed unrest among her MPs, highlighting the ever-present danger to her position of potential alternative party leaders, but she survived in the short-term at least. Nevertheless, the likelihood of a future leadership challenge remains a longer-term recurring possibility, and such a scenario grows increasingly likely if Brexit talks continue to flounder in the build-up to UK’s proposed EU departure date of March 2019. Both Major and May have therefore been significantly hampered by a weak parliamentary position at a time of high political stakes. While each appeared to neutralise and manage internal opposition and rivals to varying degrees of success, their restricted capacity to control both the executive and the legislature has been principally shaped by their difficulties stemming from an unerring and destabilising European policy agenda. Ben Williams is a Tutor in Politics and Political Theory, University of Salford.